Mold and water damage isn't always this obvious. Call SERVPRO of North Hollywood for an inspection today. SERVPRO of North Hollywood is probably best known for our 24/7 emergency restoration service. We respond "faster to any size disaster," repairing and restoring residential and commercial property damaged by water and fire, including storm, flood and wildfire disasters. 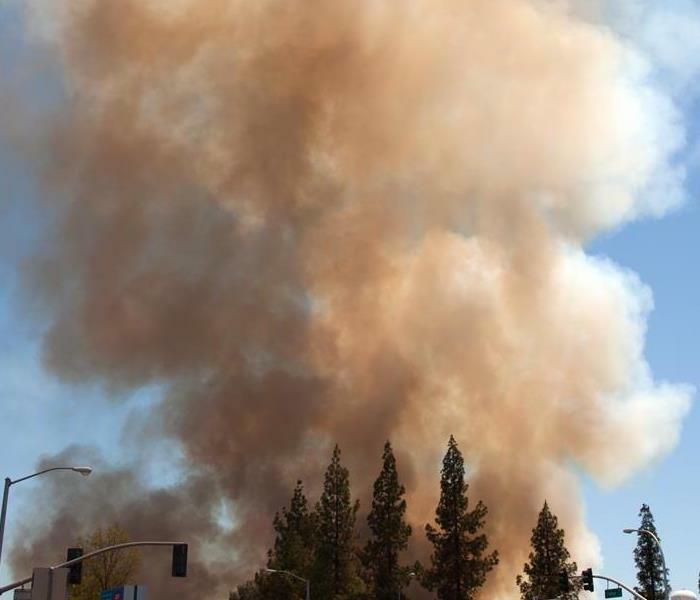 But did you know that SERVPRO of North Hollywood offers a number of other residential and commercial services that don't require an emergency response? Here are just three reasons to call us beyond emergency cleanup and restoration services. One of the reasons to choose SERVPRO of North Hollywood is for our IICRC certified cleaning technology and techniques. 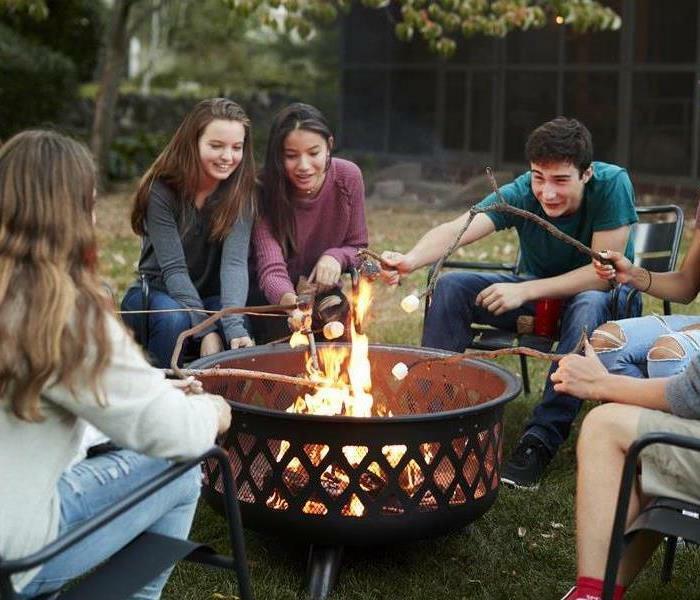 While these are obviously invaluable when cleaning up after a water or fire loss, our team of professional commercial cleaners can also handle other types of cleanup jobs. For example, we are certified to handle particularly unpleasant jobs, such as biohazard cleanup, sewage and toilet overflows or trauma and crime scene cleanup. Or if you find your property is the victim of vandalism and graffiti, we can not only remove and clean the affected areas, we can restore it to its pre-damaged condition. 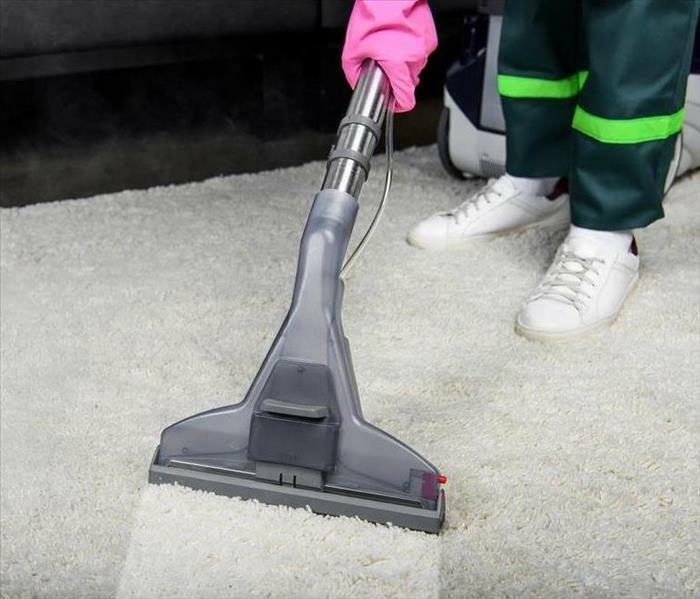 We can also handle more mundane, but still difficult or time consuming, chores, such as cleaning soiled carpet and upholstery, drapes and blinds or ceilings, floors and walls. Heating, ventilation and cooling (HVAC) systems are often out of sight, out of mind. At least until there's a problem. HVAC systems should be inspected at least once a year for dirt, debris and other contaminants that can affect air quality and degrade the performance of your HVAC system. 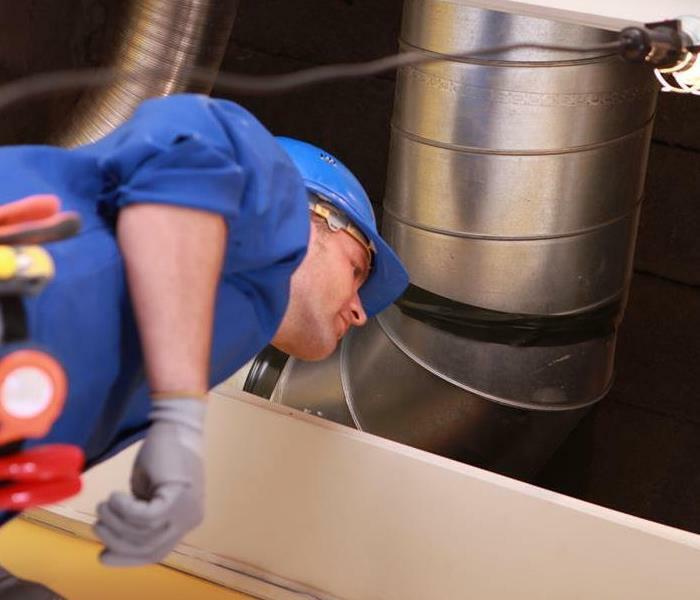 There are many benefits to servicing your HVAC unit, but, of course, duct cleaning is not always necessary, so we can also make other recommendations about the best way to address indoor air quality concerns and provide peace of mind on the health of your system and your employees. When the sewage system backs up or storm water floods your basement, it's obvious you have water damage that needs to be cleaned up. 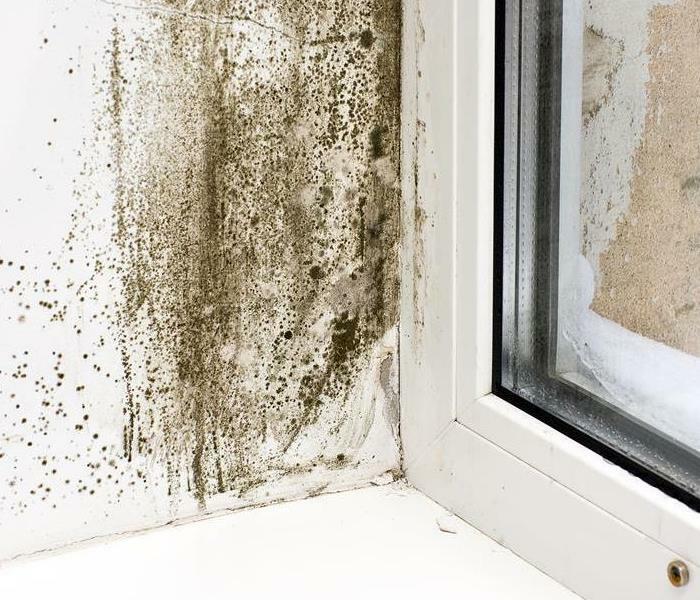 Likewise, if you see mold on your walls, ceiling or around your windows, you should call us right away for mold remediation. 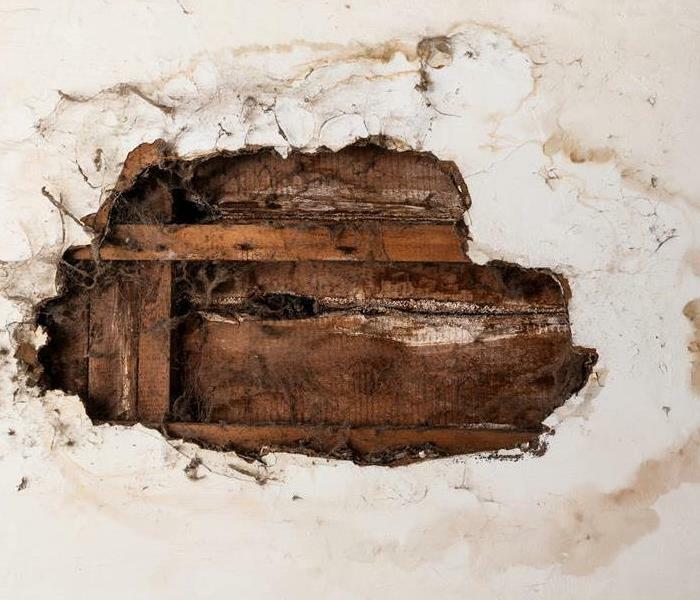 Sometimes, however, potential damage from water or mold isn't quite so obvious. Maybe it's that musty smell coming from behind the refrigerator in the break room. Or maybe it's the water spot on the office's ceiling that you noticed got bigger after the last rain storm. Regardless, our team of highly trained restoration technicians is happy to inspect and assess any areas of concern on your property. Sometimes we won't find any problems and you can simply return to business as usual. Other times, we'll find a source of water damage or mold that you didn't even realize you had, allowing us to quickly and thoroughly remedy the problem before it becomes a true disaster. What are IICRC Standards for Water Damage Cleanup? Why SERVPRO? Because we not only have the technology to effectively clean up water damage, we know how to use it. One of the reasons to choose SERVPRO of North Hollywood is that our technicians are trained and certified to IICRC standards for water damage cleanup and restoration. But you might be wondering what, exactly, are IICRC standards and why does it matter when choosing a water damage restoration company? IICRC stands for Institute of Inspection Cleaning and Restoration Certification. They are the certification and standard-setting non-profit organization for the inspection, cleaning and restoration industries. As such, much of what SERVPRO of North Hollywood does, from water damage restoration and fire damage repair to mold remediation and trauma and crime scene cleanup is covered by IICRC standards. The IICRC is an ANSI (American National Standards Institute) accredited organization. ANSI accredited organizations set voluntary standards for everything from food and water quality to building and construction materials handling to cutting-edge technologies like the RFID chip in your credit card. The purpose of these standards is create consensus around the health and safety of consumers and environment while also safeguarding the integrity and effectiveness of the standards. Often, individuals or organizations who are trained to meet these standards are then certified by the governing organization as a testament to their level of education and knowledge of the standards. Why is Certification to IICRC Standards Important? 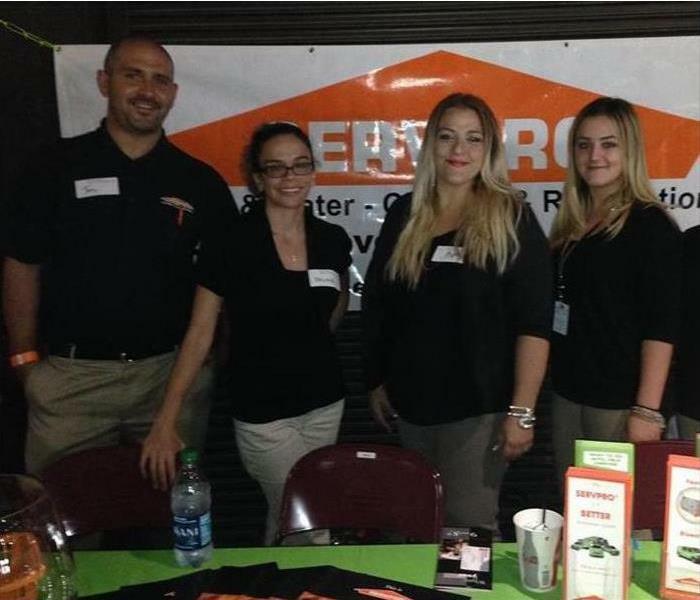 By having our technicians trained and certified to meet IICRC standards, SERVPRO of North Hollywood ensures that we are most capable of safely and effectively restoring your damaged property. For example, knowing how the composition of the damaged materials, be it carpeting or upholstery, wood or corrosive metals, is affected by water helps us determine the best way to dry and restore your water damaged property. Indeed, every variable, from the type of damaged material, to the duration of water exposure, to the source of the moisture itself (rain water vs sewage, for example) should be properly accounted for when prescribing restoration methods. Our training to IICRC standards ensures that we are well-versed in all of these variables and that we will select the appropriate technologies, treatments and methods for the specific kind of damage we encounter. Further, to remain certified, the IICRC requires regular continuing education classes. This ensures that our team is always up-to-date on the latest in restoration techniques and technology. Ultimately our goal is to make the repair and restoration of your water, fire or mold damaged property as painless and stress free an experience as possible. So when you choose SERVPRO of North Hollywood, you can be confident you are choosing a team of technicians that are true experts in the industry with the technology, experience and knowledge to help make the damage from a disaster "like it never even happened." SERVPRO of North Hollywood is more than a restoration company. We're honored to be a part of the community we serve. When a disaster strikes, it is natural to focus on the process of repair and recovery that follows. 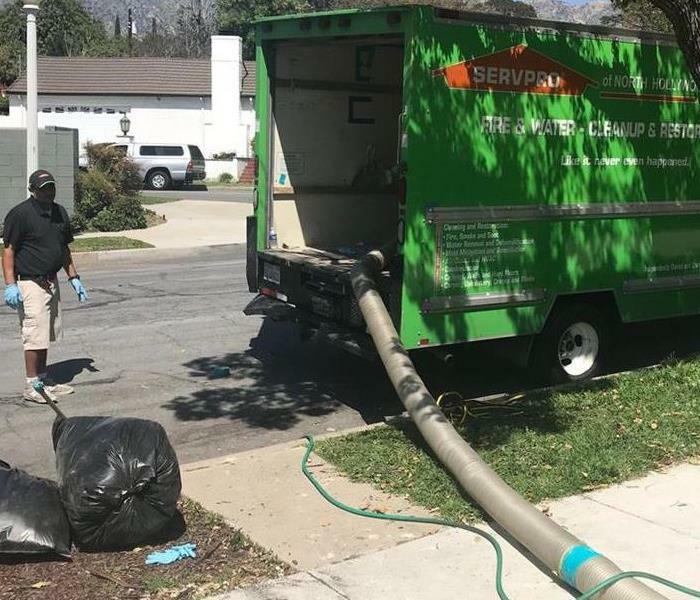 Indeed, SERVPRO of North Hollywood is proud to be able to assist property owners across Los Angeles with water damage and fire damage restoration services to make it like such disasters "never even happened." 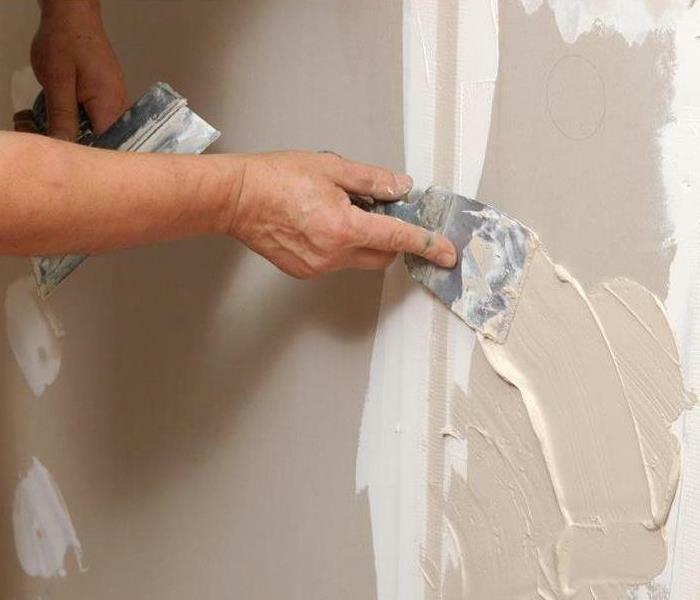 Often, however, the healing process requires more than patching drywall. Recovery from a disaster is also emotional and sometimes the best thing we can do is step away from the restoration of our property to instead focus on the restoration of our hearts. With that in mind, SERVPRO of North Hollywood was happy to recently sponsor a paint night with Mobile MozArt, complete with food, friends and, of course, lots of paint. It was truly a "starry night" as the residents of a local community affected by flood damage joined several of members of our hard-working SERVPRO team in creating their own version of van Gogh's masterpiece. When your home or business suffers from water damage or fire damage, there's no shortage of restoration companies you can call. But SERVPRO of North Hollywood is more than a restoration company. We are members of the community we serve. Every opportunity to give back is an opportunity to help our community grow and thrive. We look forward to sponsoring more such events in the future. In fact, if you are interested in having Mobile MozArt bring a paint night to your community, enter our photo contest. Just visit our Facebook page and share your best beach photo with the tag #MobileMozArt by January 31, 2019. We'll choose a winner for an evening of paint, food and fun later in the year*. One winner will be selected from all eligible entries submitted by 11:59 p.m. on January 31, 2019. To be eligible, the entrant must live within 25 square miles of North Hollywood, CA. Entrants do not need to be current or former customers of SERVPRO of North Hollywood to be chosen. Entrants must be at least 21 years of age. Entrant must submit an original photo and own the rights to the photo or have written permission from the copyright owner. No stock photography etc. Selected winner's photo will be painted during a Mobile MozArt paint night party at a date and location TBD in 2019. Multiple entries from the same individual are allowed, but please do not spam our Facebook page. A minimum of 10 and a maximum of 30 individuals are required to host a paint night party and permission of the property owner and/or management company may be required. 3/26/2019 - What's the Difference Between Damage Cleanup and Restoration? 2/11/2019 - What are IICRC Standards for Water Damage Cleanup?